Thomas D. Nilla, 75, from Middlesex passed away on Thursday; September 6th, 2018 in Raritan with his loving family by his side. He was a resident of Jersey City as a child and later lived in Middlesex until his passing. 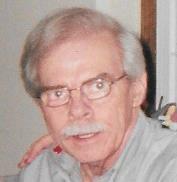 He was the son of the late William Nilla and Irene (Jablonski) Nilla. Thomas attended schools in Jersey City. He retired from General Motors after 20 years. He later worked for American Cyananid in Bound Brook. Thomas also worked part time as a school bus driver and truck driver. He enjoyed going to the local park in Middlesex to listen to his tapes on his radio, and spending time with the love of his life Nancy and family and friends. He is survived by his loving partner 24 years Nancy Danyov, his son Tom Nilla of Scotch Plains, daughter Kris Wolf of South Plainfield, daughter, Michelle of Arizona, 3 Grandchildren; Ashley,Michael, and Renee, 4 brothers; Jack Nilla of New Canaan, CT, Richard Nilla and wife Barbara of Avenel, James Nilla and his wife Kathy of South Plainfield, and Robert Nilla of Wyoming and many loving nieces, nephews and friends. Thomas is also pre-deceased by his sister Linda. There will be a visitation on Monday; September 10th, 2018 from 4-7PM at the Sheenan Funeral Home, 233 Dunellen Ave, Dunellen NJ 08812. A funeral service will take place on Tuesday; September 11th at 10AM at the funeral home. Burial to follow at Holy Redeemer Cemetery, South Plainfield.